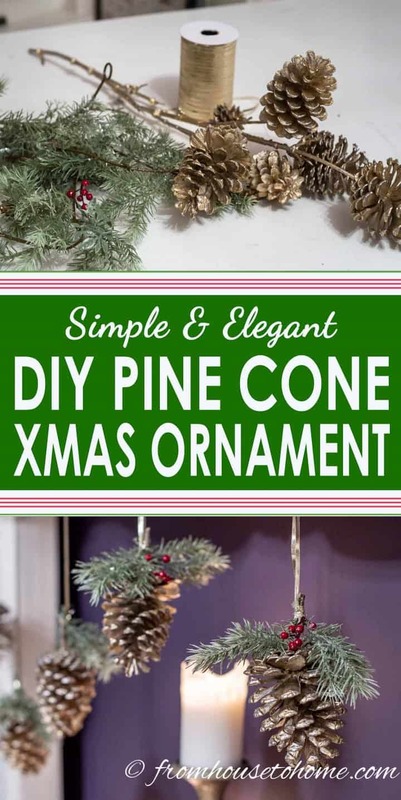 These pine cone DIY Christmas ornaments look elegant and are really simple to make. A perfect combination for traditional Christmas decor. 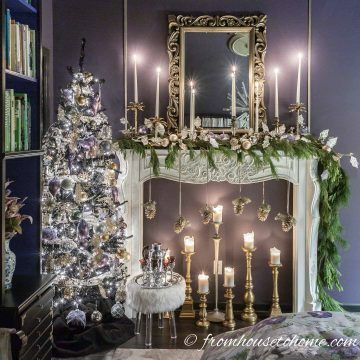 I’m always looking for new ways to decorate my fireplace mantel for Christmas. 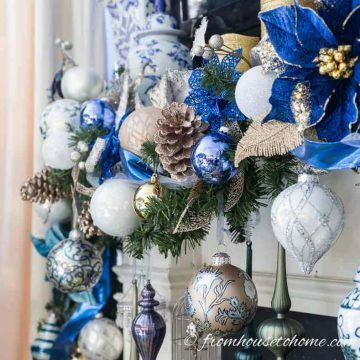 I usually like to decorate a faux Christmas garland to make it go with my Christmas decor, like the blue and white Christmas home decorations I did last year. 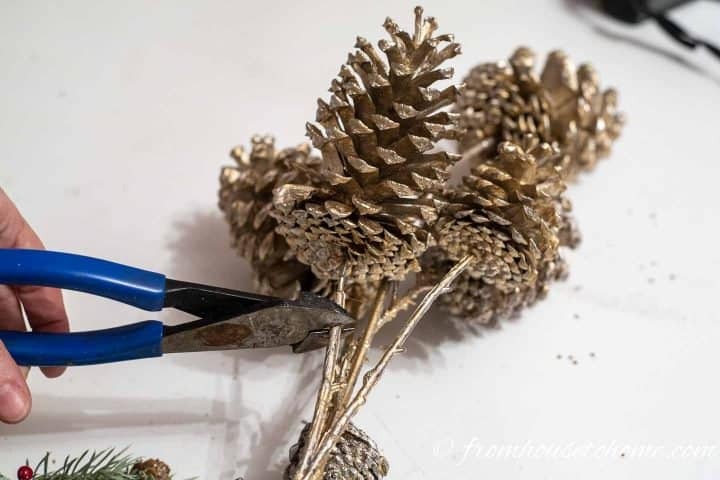 This year I decided to go for a more natural look and this pine cone DIY Christmas ornament is an easy way to do that. 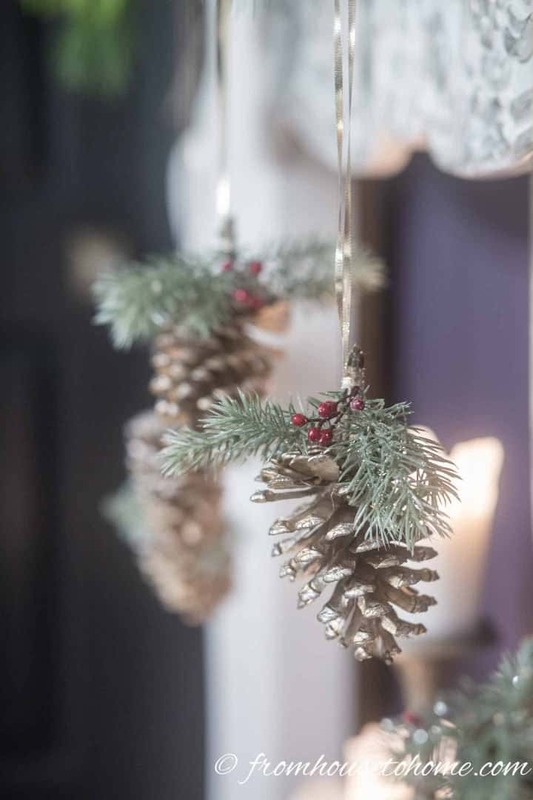 Pine cones are a traditional Christmas ornament that add a touch of nature and some texture to any holiday decor. Since I’m using evergreen branches as the centerpiece of the Christmas decor on the fireplace mantel in my bedroom, I thought adding some pine cones would be a good fit for the natural theme. 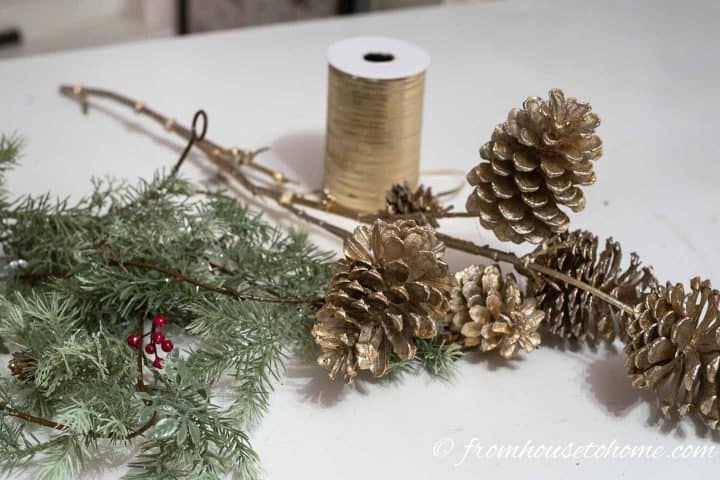 Of course, since I love some glam in my decor, I wanted to add a little gold to my DIY pine cone Christmas ornaments. But I didn’t want to spend too much time on them, so I came up with a really simple way to dress up the pine cones, and make them fit into my natural evergreen theme. 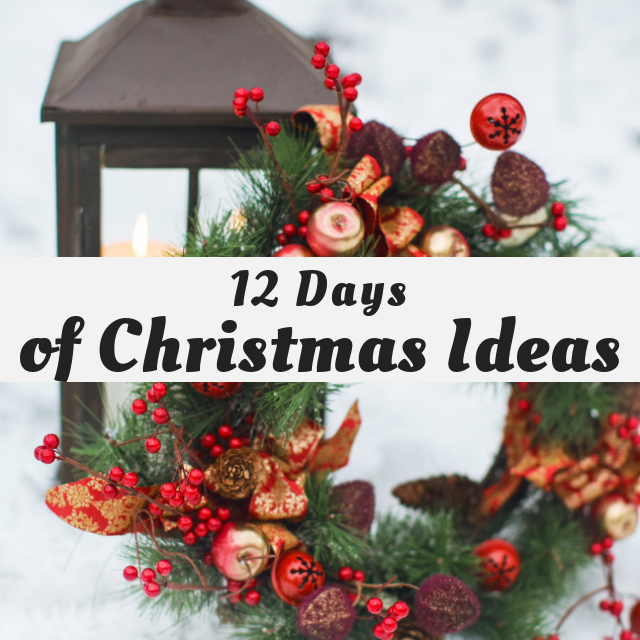 But before we go there, this is part of day 6 of the 12 days of Christmas series (can you believe we’re half way through?). That means you’ll also be getting a bunch of other DIY Christmas ornaments from some of my blogger friends. 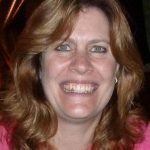 So be sure to check those out at the bottom of the page. Gold pine cones*. I cut them off a floral stem of pine cones from Michael’s. But you could also spray paint some natural pine cones. Or buy gold pine cone floral picks. Since I used floral stems, I just cut the pine cones off using wire snips. However, if you are using natural pine cones, I have achieved a similar look in the past by using this spray paint* to paint them gold. If you have pine cones that don’t have a stem, you can add one by drilling a hole in the bottom of it and gluing in a bamboo skewer* (like you would use for shish kabobs). Regardless of how you get your pine cones, you want to leave about an inch of stem above the cone. Now you need a couple of small evergreen branches and a stem of small red berries. 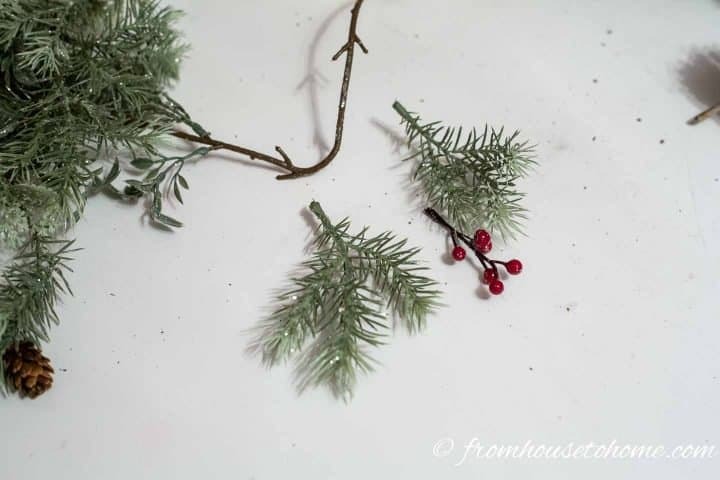 I pulled them off of an inexpensive evergreen garland. 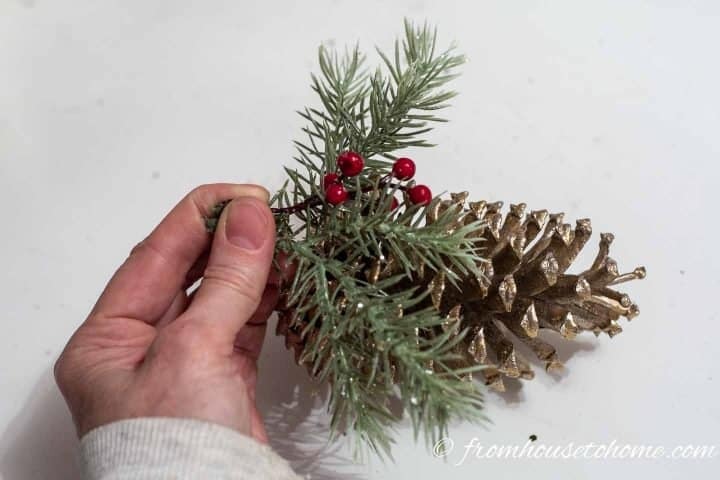 Hold the two evergreen pieces on either side of the pine cone with the berries in the middle. This is where you need a little bit of stem on the pine cone so you have some room to attach the other pieces. Wrap the gold ribbon around the stem to attach the evergreens. Tie the other end of the ribbons together to form a loop that you can use to hang the ornament. I used fairly long ribbons so I could hang the pine cones from my mantel. But you could use shorter ones if you want to hang them on your tree. 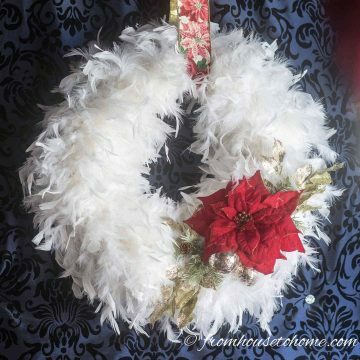 I love that they’re so easy to make, but still look elegant and festive. 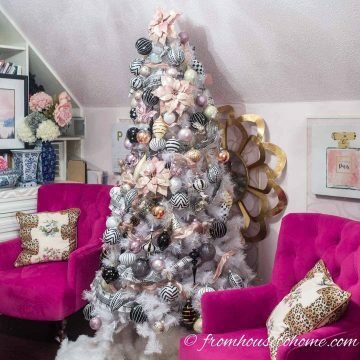 Stay tuned for more of my bedroom Christmas tree and mantel decorations coming in the next couple of weeks! 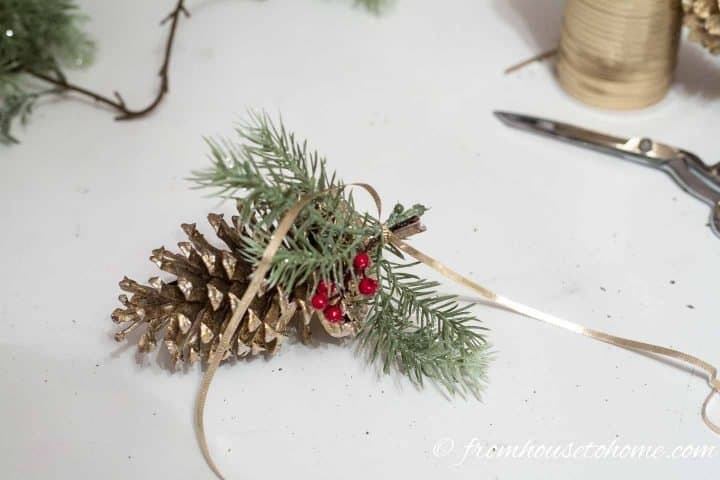 Have comments or questions on our pine cone DIY Christmas ornament? Tell us in the section below. Very pretty! Pinecone ornaments can be used in so many ways and they look so pretty on your mantle. 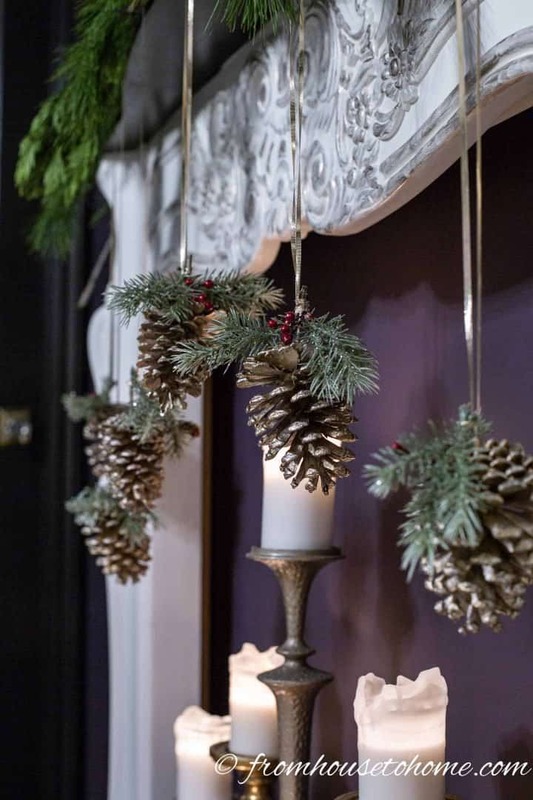 I love the look of hanging the pine cones from the mantel. They look wonderful. Thanks, Beverly! I’m happy with the way they turned out, too! 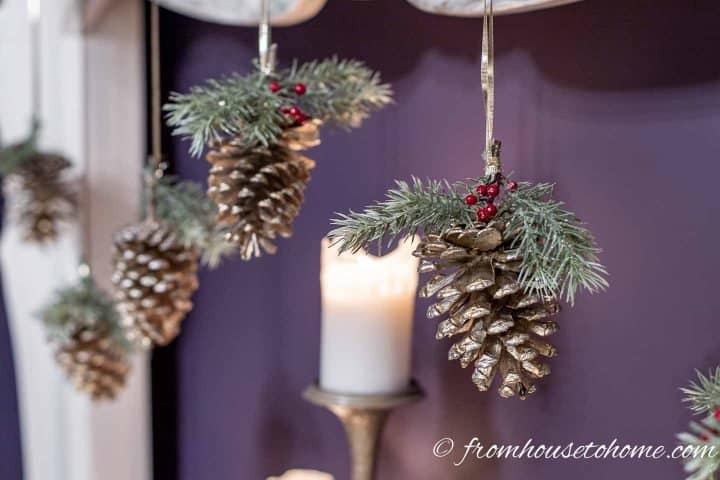 I love how you hung your pretty pine cone ornaments! I’ve been looking for a simple but elegant way to make a garland for my fireplace in the family room. I think you just helped me find it! Those turned out really pretty! 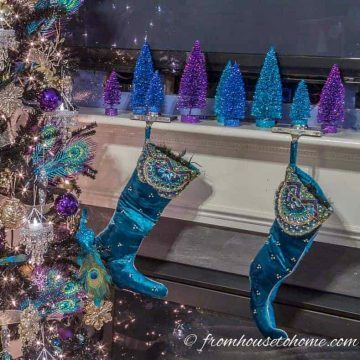 I like the idea of hanging them from the mantel.